Kamp Kohut is a uniform camp. We find having a uniform is a wonderful way to build a sense of unity, remove social pressure, and eliminate competition or a focus on appearance. It also proves practical when doing our wide variety of activities. 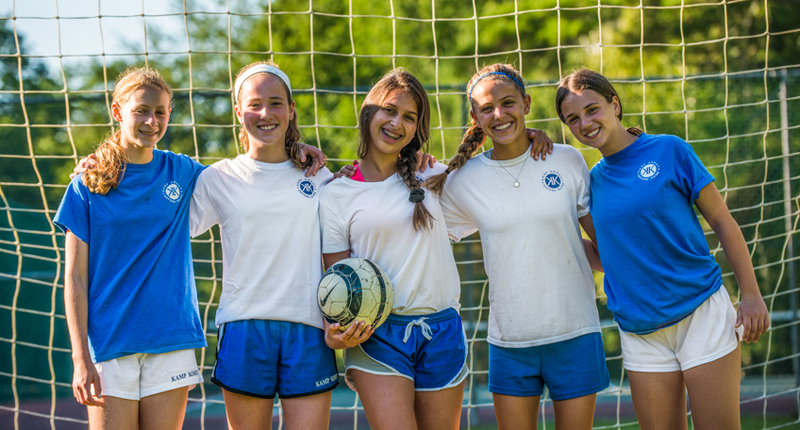 Campers wear combinations of solid royal blue and white; staff wear navy blue and white. (Ash gray sweatpants and sweatshirts are also acceptable). All campers must have a few t-shirts and a sweatshirt with the Kohut logo which can be purchased from our official camp outfitter. Once a child has enrolled at Kamp Kohut, we will send ordering information and a packing list to help you plan what to bring. Laundry is done on premises once a week, so campers don’t have to worry about bringing a lot of clothes. We also provide all art supplies and sporting equipment (except for mouth guards and roller blades). 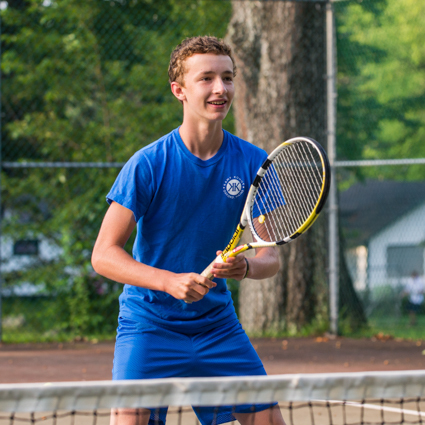 Campers are welcome to bring their favorite gear, like tennis racquets, lacrosse sticks, or baseball gloves, for example. There are times when non-uniform clothes are worn. For instance, themed dances, carnivals, and some special events are non-uniform. Seniors (campers entering 9th & 10th grade) have a few more opportunities to wear non-uniform clothing during special senior events.